You're an active, daily music listener, right? 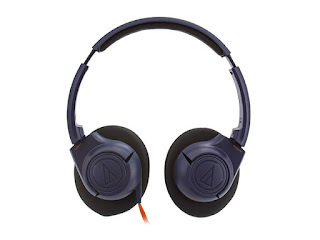 Then grab the Audio-Technica SonicFuel® Over-ear Headphones, designed with generously cushioned ear pads and headband for extended wear, and powerful 40mm drivers for a premium audio experience. Plus, for added convenience, these headphones collapse for easy portability, and let you control your music right from the headphones themselves.